Prior to the 2010 Ford Ironman World Championship on Saturday I previewed the seven British Professional ladies who would be racing in Kona, so it seems appropriate to now revisit, and review how they all did. Despite the absence of the hot favourite Chrissie Wellington, there were still three Brits in the top ten ladies across the Alii Drive finish line. Julie finished off her strong swim (second out of the water to Rachel Joyce), and bike (a five plus minute lead at T2) with a 3:16:12 marathon. That has to go down as a great debut in my eyes, and she was beaten on the day by two athletes - Mirinda Crafrae and Caroline Steffen - who produced fantastic performances themselves. If you watched the coverage in the early hours on Sunday, you'll know that Julie certainly gave everything out on the course! We do know that her legs are feeling a little sore, as her Twitter update reflected "...wishes she was male for a day so she doesn't have to sit down to pee! ", but one again Julie has proven that she really is no 'one trick pony'. I hope we'll see her back in Kona over the next few seasons. Julie will, I'm sure, post her race report shortly at www.juliedibens.com. Was this the GB performance of the day? Last year Rachel showed she could perform on the Big Island with a debut sixth place and 9:32:27 clocking. Matching, or even bettering that this year though was going to be tough after an early season with three severed tendons in her foot after a slip on exiting T1 at the Abu Dhabi International Triathlon in March. Despite this, her coach Matt Dixon was confident that she could perform well - and he was right! She didn't just improve her position from sixth to fifth, but took almost 14 minutes of her 2009 time. Perhaps most impressive is that Rachel - most known as a swim/biker - ran a 3:11:09 marathon. With a full and injury-free preparation Rachel can - realistically now - be aiming at a top-three in Kona finish in future years. A brilliant performance. In the GB Pro ladies preview I suggested that "In 2007 Leanda finished eighth (9:36:10), which is certainly a better representation of her talents than the injury impacted 2009. She is certainly capable of a top-10 finish", and that is exactly what she got, in a personal best time for Kona, and only a couple of minutes slower than her Welsh Ironman record of 9:25:09. After the race she said "Feet up with a glass of wine. I'm happy with 10th. I feel I should have done better, but my gut was not agreeing with me.....again." When I spoke to Yvette after her win at Ironman UK earlier this year she said about Kona "I would like to do a lot better this time" in reference to her previous race in Hawaii in 2007. She finished in 10:37:51 then, and on Saturday crossed the line well over 20 minutes faster, though still a little disappointed judging by her Twitter update of " Not a great day but finished! Lost drinks over pot hole, had to drink Perform, stomach not happy on run & hated crosswinds!Well done to all." You will no doubt be able to read her full report shortly www.yvettegrice.co.uk. Tri247 columnist Jo was racing Kona for the first time as a professional, and her brief note to me yesterday about the race was "ouch!" You can read the initial report on her race HERE. "Madame Pele... She strikes again! "At home now putting my feet up and relaxing ( more than I probably should).unfortunately I got the cold mid week and there was nothing in the tank again this year. However, having been through the motions last year I decided to bail this time round with a view to an Ironman later this year. "Disappointed but realistic would sum it up! 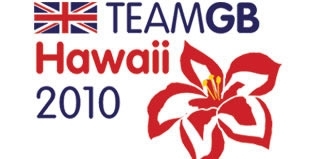 "Mahalo for all the support :-) "
The biggest story of Kona 2010 may well have been the pre-race withdrawal of Chrissie Wellington due to illness. Considered by almost everyone as the hottest of hot favourites to secure a fourth consecutive Ironman World Championship, and take her unbeaten record over the distance into double figures, the pre-race announcment that Chrissie was unable to race really opened up the ladies field. The win went to Mirinda Carfrae who produced a superb performance, setting a new run course record and finishing in under nine hours - only the fourth time that has been achieved on the Big Island. Best wishes to Chrissie on getting back to full health.